You don’t have to stray from your budget, or stray far from Kettering, to find a vehicle that offers everything you desire. When you shop the lineup of certified pre-owned vehicles at Kia of Beavercreek, it’s easy to find a Kia that’s reliable, modern, and fairly priced. Check out our current pre-owned vehicle specials, and then schedule a test drive in the model that’s right for you! This 2015 Kia Soul in Alien Ii features. ***ONE OWNER NO ACCIDENTS***, 4D Hatchback, FWD, 4-Wheel Disc Brakes, Alloy wheels, AM/FM radio: SiriusXM, Power windows, Steering wheel mounted audio controls, Telescoping steering wheel, Tilt steering wheel, Traction control. Certified. Kia Certified Pre-Owned Details: * Transferable Warranty * Powertrain Limited Warranty: 120 Month/100,000 Mile (whichever comes first) from original in-service date * Includes Rental Car and Trip Interruption Reimbursement * Limited Warranty: 12 Month/12,000 Mile (whichever comes first) "Platinum Coverage" from certified purchase date * Roadside Assistance * Vehicle History * 164 Point Inspection * Warranty Deductible: $50 Odometer is 1625 miles below market average! 24/30 City/Highway MPG Awards: * ALG Residual Value Awards * 2015 KBB.com 15 Best Family Cars Take advantage of HUGE savings! Call 937-237-1000 to schedule a test drive today! Price excludes tax, title, lic, and dealer processing fee of $250. This 2018 Kia Rio S in Currant Red features. ! !ONE OWNER! !, 4D Sedan, FWD, ABS brakes, AM/FM radio: SiriusXM, Power windows, Remote keyless entry, Speed control, Steering wheel mounted audio controls, Telescoping steering wheel, Tilt steering wheel, Traction control. Certified. Kia Certified Pre-Owned Details: * Powertrain Limited Warranty: 120 Month/100,000 Mile (whichever comes first) from original in-service date * Includes Rental Car and Trip Interruption Reimbursement * Limited Warranty: 12 Month/12,000 Mile (whichever comes first) "Platinum Coverage" from certified purchase date * Vehicle History * Roadside Assistance * 164 Point Inspection * Transferable Warranty * Warranty Deductible: $50 28/37 City/Highway MPG Take advantage of HUGE savings! Call 937-237-1000 to schedule a test drive today! Price excludes tax, title, lic, and dealer processing fee of $250. Recent Arrival! This 2016 Kia Forte LX in Steel Blue Metallic features. ***ONE OWNER NO ACCIDENTS***, 4D Sedan, FWD, 4-Wheel Disc Brakes, AM/FM radio: SiriusXM, Remote keyless entry, Steering wheel mounted audio controls, Telescoping steering wheel, Tilt steering wheel, Traction control. Certified. Kia Certified Pre-Owned Details: * 164 Point Inspection * Vehicle History * Powertrain Limited Warranty: 120 Month/100,000 Mile (whichever comes first) from original in-service date * Includes Rental Car and Trip Interruption Reimbursement * Roadside Assistance * Limited Warranty: 12 Month/12,000 Mile (whichever comes first) "Platinum Coverage" from certified purchase date * Warranty Deductible: $50 * Transferable Warranty Odometer is 30790 miles below market average! 26/39 City/Highway MPG Take advantage of HUGE savings! Call 937-237-1000 to schedule a test drive today! Price excludes tax, title, lic, and dealer processing fee of $250. Recent Arrival! This 2016 Kia Forte EX in Silky Silver features. ***ONE OWNER NO ACCIDENTS***, 4D Hatchback, FWD, 4-Wheel Disc Brakes, Alloy wheels, AM/FM radio: SiriusXM, Power windows, Speed control, Steering wheel mounted audio controls, Telescoping steering wheel, Tilt steering wheel, Traction control, Turn signal indicator mirrors. Certified. Kia Certified Pre-Owned Details: * 164 Point Inspection * Warranty Deductible: $50 * Powertrain Limited Warranty: 120 Month/100,000 Mile (whichever comes first) from original in-service date * Roadside Assistance * Vehicle History * Limited Warranty: 12 Month/12,000 Mile (whichever comes first) "Platinum Coverage" from certified purchase date * Transferable Warranty * Includes Rental Car and Trip Interruption Reimbursement 25/33 City/Highway MPG Take advantage of HUGE savings! Call 937-237-1000 to schedule a test drive today! Price excludes tax, title, lic, and dealer processing fee of $250. Recent Arrival! This 2018 Kia Forte LX in Snow White Pearl features. ***ONE OWNER NO ACCIDENTS***, 4D Sedan, FWD, Auto-On/Off Headlights, Cruise Control, Dual Illuminated Visor Vanity Mirrors, Front Passenger Seat Back Map Pocket, Front Sliding Armrest, Illuminated Ignition & Glovebox, LX Popular Package, Overhead Map Light, Premium Cloth Seat Trim, Radio: UVO eServices Infotainment AM/FM/MP3, Rear Center Armrest w/Cupholders, Sunglass Holder. Certified. Kia Certified Pre-Owned Details: * 164 Point Inspection * Includes Rental Car and Trip Interruption Reimbursement * Powertrain Limited Warranty: 120 Month/100,000 Mile (whichever comes first) from original in-service date * Roadside Assistance * Vehicle History * Limited Warranty: 12 Month/12,000 Mile (whichever comes first) "Platinum Coverage" from certified purchase date * Transferable Warranty * Warranty Deductible: $50 29/37 City/Highway MPG Take advantage of HUGE savings! Call 937-237-1000 to schedule a test drive today! Price excludes tax, title, lic, and dealer processing fee of $250. This 2018 Kia Soul Plus in Alien Ii features. ***ONE OWNER NO ACCIDENTS***, 4D Hatchback, FWD, 17" Alloy Wheels, 4-Wheel Disc Brakes, AM/FM radio: SiriusXM, Power windows, Remote keyless entry, Speed control, Steering wheel mounted audio controls, Telescoping steering wheel, Tilt steering wheel, Traction control. Certified. Kia Certified Pre-Owned Details: * Warranty Deductible: $50 * Powertrain Limited Warranty: 120 Month/100,000 Mile (whichever comes first) from original in-service date * Transferable Warranty * Vehicle History * Limited Warranty: 12 Month/12,000 Mile (whichever comes first) "Platinum Coverage" from certified purchase date * Includes Rental Car and Trip Interruption Reimbursement * 164 Point Inspection * Roadside Assistance Odometer is 5289 miles below market average! 25/30 City/Highway MPG Take advantage of HUGE savings! Call 937-237-1000 to schedule a test drive today! Price excludes tax, title, lic, and dealer processing fee of $250. This 2018 Kia Soul Plus in Bright Silver features. ***ONE OWNER NO ACCIDENTS***, 4D Hatchback, FWD, 17" Alloy Wheels, 4-Wheel Disc Brakes, AM/FM radio: SiriusXM, Power windows, Remote keyless entry, Speed control, Steering wheel mounted audio controls, Telescoping steering wheel, Tilt steering wheel. Certified. Kia Certified Pre-Owned Details: * 164 Point Inspection * Vehicle History * Roadside Assistance * Transferable Warranty * Warranty Deductible: $50 * Includes Rental Car and Trip Interruption Reimbursement * Limited Warranty: 12 Month/12,000 Mile (whichever comes first) "Platinum Coverage" from certified purchase date * Powertrain Limited Warranty: 120 Month/100,000 Mile (whichever comes first) from original in-service date Odometer is 7752 miles below market average! 25/30 City/Highway MPG Take advantage of HUGE savings! Call 937-237-1000 to schedule a test drive today! Price excludes tax, title, lic, and dealer processing fee of $250. Recent Arrival! This 2018 Kia Optima LX in Platinum Graphite features. ***ONE OWNER NO ACCIDENTS***, 4D Sedan, FWD, 4-Wheel Disc Brakes, AM/FM radio: SiriusXM, Remote keyless entry, Speed control, Steering wheel mounted audio controls, Telescoping steering wheel, Tilt steering wheel, Traction control, Turn signal indicator mirrors, Wheels: 6.5J x 16 Alloy Silver. Certified. Kia Certified Pre-Owned Details: * Transferable Warranty * Includes Rental Car and Trip Interruption Reimbursement * Roadside Assistance * Warranty Deductible: $50 * 164 Point Inspection * Limited Warranty: 12 Month/12,000 Mile (whichever comes first) "Platinum Coverage" from certified purchase date * Powertrain Limited Warranty: 120 Month/100,000 Mile (whichever comes first) from original in-service date * Vehicle History Odometer is 8896 miles below market average! 25/36 City/Highway MPG Take advantage of HUGE savings! Call 937-237-1000 to schedule a test drive today! Price excludes tax, title, lic, and dealer processing fee of $250. This 2019 Kia Sorento LX in Platinum Graphite features. ***ONE OWNER NO ACCIDENTS***, 4D Sport Utility, AWD, 17" x 7.0" Alloy Wheels, 3rd row seats: split-bench, 4-Wheel Disc Brakes, Front dual zone A/C, Radio: UVO Play w/AM/FM/MP3, Remote keyless entry, Speed control, Steering wheel mounted audio controls, Telescoping steering wheel, Tilt steering wheel, Traction control, Turn signal indicator mirrors. Certified. Kia Certified Pre-Owned Details: * Powertrain Limited Warranty: 120 Month/100,000 Mile (whichever comes first) from original in-service date * Includes Rental Car and Trip Interruption Reimbursement * Limited Warranty: 12 Month/12,000 Mile (whichever comes first) "Platinum Coverage" from certified purchase date * Transferable Warranty * Warranty Deductible: $50 * Roadside Assistance * 164 Point Inspection * Vehicle History Odometer is 5230 miles below market average! Take advantage of HUGE savings! Call 937-237-1000 to schedule a test drive today! Price excludes tax, title, lic, and dealer processing fee of $250. 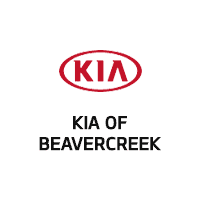 Whether you’re searching for a capable SUV like the Kia Sorento, a sharp sedan like the Kia Optima, or anything in between, you’ll find exactly what you’re looking for when you visit Kia of Beavercreek. Our certified pre-owned vehicles have all been inspected for quality, so no matter which model you choose, you can be sure that your pick will offer dependable performance for years to come. Start up a conversation with our team to value your trade-in and start exploring current our financing options. We make the car-buying process as simple as possible for our neighbors in Beavercreek and Xenia, so don’t waste any time reaching out! Contact us today to schedule your test drive.